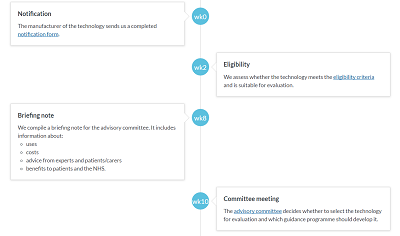 A stage-by-stage outline of the process we use to develop interventional procedures guidance. Understand the key stages in the development process. See how long it takes to develop our guidance. In-depth information on the development process in the process guides. how to attend a committee meeting. the procedure has more than 1 indication or involves more than 1 technique.